But that hasn’t stopped me from eating soup for lunch… and dinner, for the past two days! 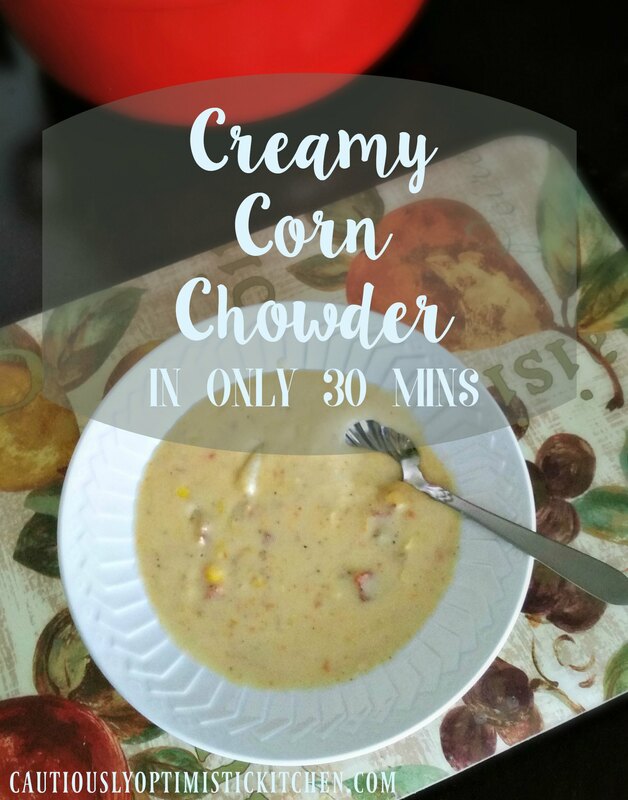 Today I am sharing with you a quick recipe for Creamy Corn Chowder. It is so simple and only takes a few ingredients you probably already have on hand. 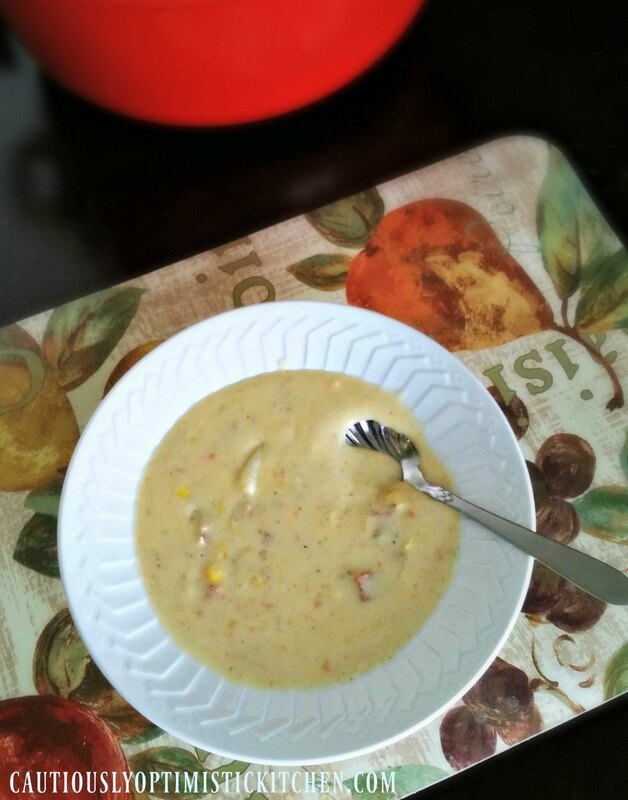 I managed to throw this chowder together in about 30 minutes including prep and cooking time. I modified a recipe I found online somewhere. I’m not even sure which recipe I ended up loosely following because I looked at so many, but this is my very own version. A few things about the ingredients I used. We recently have started eating as much organic food as I can possibly afford and have access to. You may substitute any conventional ingredients you would like in place of anything I have listed as organic. I hope to very soon have a series on why I hope you decide to also make the transition to organic foods, but I won’t go into that here! Please feel free to make this recipe your own! Add, take away, or tweak to your heart’s desire! This is a very versatile recipe and you can make substitutions as you see fit. Begin cooking bacon in the sauce pan you will be using to simmer chowder. Wash and dice potatoes and shred carrots. Once bacon is cooked remove to a plate. Do not drain grease. Add potatoes and carrots to saucepan and add water and chicken broth. Add seasoning to taste. Bring to boil and cook until vegetables are tender. Combine milk and cornstarch in measuring glass. Add milk mixture to vegetables stirring constantly until slightly thickened. Turn off heat and use an immersion blender to blend potato mixture slightly. Return to heat and add corn, bacon, and butter along with any additional salt or pepper. Bring to a simmer for 2-3 minutes.